Vladimir Lenin’s embalmed body has been in Red Square for more than 80 years, but former Soviet President Mikhail Gorbachev says it’s time for him to be buried. He wants Lenin’s body and tomb to be removed from the square. “One day for sure we will come to see the mausoleum lose its significance and Lenin's body finally committed to the ground, like his family members had wanted,” Gorbachev said. The fate of Russia’s first Communist leader has been continuously brought up since the fall of the Soviet Union. 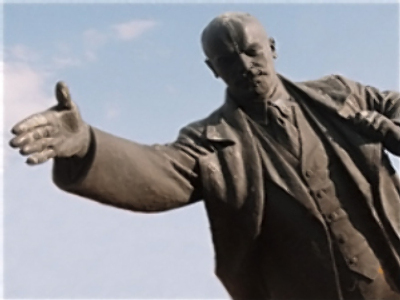 However, communists have blocked any attempts to move Lenin's body. They argue the tomb is a part of Russian history and should remain intact. Lenin’s embalmed body has been on public display ever since his death in 1924.